Age: The adult-like gray scapulars down the middle of the back and lightly marked uppertail coverts immediately suggest a 2nd cycle type. Also, the solid black tertials with relatively wide white edges support a bird not in its 1st plumage cycle. Identification: The largely uniform brown wings and dark gray central scapulars point to a dark-backed species. The checkered lesser and median coverts are suggestive of Lesser Black-backed Gull. The lightly barred/marbled region in the tail feathers (specifically the partition between the black tail band and white uppertail coverts) also resembles LBBG, and that's what this month's quiz bird was identified as. I'll begin this post by reiterating - as I always do - that I'd much rather leave confusing young gulls unidentified than assign a hybrid label to them. There is no sense in jumping to conclusions when there are no data to support them. With that said, here's a bird I first thought may be a 1st cycle Lesser, then decided it was okay for a 1st cycle Herring, and then started scratching my head the longer I looked at it. Structurally, the rear looks very little like an American Herring and much more like a Lesser. The sparsely marked vent area is also unusual. The, longer, solid outer median and lesser coverts also resemble Lesser Black-backed, more than American Herring. "This is NOT a pure American Herring" were my thoughts after seeing the undertail. The uppertail contrasts greatly with the rest of the body, but most disturbing is the strong contrast to the pale inner primaries (only seen well in brighter lighting). In this slightly underexposed image, it looks long-winged, shows less of an inner primary window, and the tail almost looks like it was trying to go for a banded look but failed miserably. If this is an American Herring Gull or Lesser Black-backed Gull, then I have to admit that I don't yet know these species well. It sure doesn't feel right for either taxon. On the other hand, it does look intermediate in many ways. Another one for the mystery file. New Buffalo, Michigan. 07 October 2016. The breast often looks more coarsely marked than American Herring. Head/neck streaking finer and less marked than in American Herring counterparts. The undertail is with a white base and a neater pattern. The vent area has significantly less markings than American Herring. Just a few miscellaneous notes on birds seen on Friday. Herring with virtually no mirror on p10 (still growing). P4 with small speck on outer web and marked p-coverts/alula suggest a 4th cycle type. Michigan City, IN. 07 October 2016. Same individual above. A mostly adult-like bird near finishing prebasic molt. Another adult type with a large p10 mirror showing several white "spots" on the underside of the primary. P-9 with a weak thayeri pattern. Michigan City, IN. 07 October 2016. Adult type Herrings. Left bird already in nonbreeding condition while the bird on the right has bright legs and bill. The most natural explanation for this is hormonal variance. Sub-adult Herring with the often-seen black ink spot on the tertials. Also of interest on this bird is subtle hints of wavy barring on the neck/breast. Although this is most commonly seen on Glaucous-winged Gull, Herrings too can show it. 1st cycle Herring with ~90% of scapulars 2nd generation. Rare is to see a few (inner) upperwing coverts replaced already (likely PA1). Bill is beginning to pale. Also of interest on this bird is a paling forehead, an attribute often found in similar-aged California Gulls. 2nd cycle Herring Gull. A very obvious marbling to the greater coverts and tertials, unlike in 1st cycle birds. The primary tips are rounded (and still growing - see next image). A still largely marked tailband, with reduced markings on the upper rump. The inner primaries are more silvery than is seen on 1st generation primaries. The axillaries are mostly white as expected at this age. 1st cycle with ~100% of scapulars replaced. Somewhat unusual is a few wing coverts (median and greater) have been renewed. This usually doesn't take place with the majority of hatch year herrings that I encounter. A better angle of this in the photo below..
Nelson's Gull. What is a Nelson's Gull and where do they originate from? The name Nelson's Gull is commonly used for Glaucous x Herring hybrids found on the North American continent. It's generally assumed - by most - that the Herrings involved are American Herring Gulls (smithsonianus). In this post I review the historic nomenclature surrounding this hybrid and also shed light on the implications that come with the current usage of the name "Nelson's Gull". In short, our usage of this label is a deviation from the literature. Putative Glaucous x Herring hybrid (right) with American Herring Gull. Chicago, Illinois. 08 February 2015. 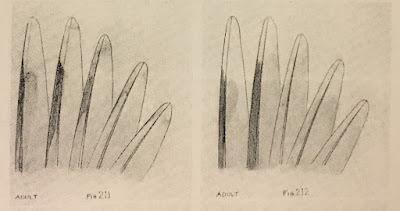 The first known specimens of this taxon were collected by E.W. Nelson in Alaska. The type specimen is housed at the U.S. Natural History Museum. #97253. Adult male. Collected at St. Michaels, Alaska. 20 June 1880. H.W. Henshaw later reviewed the skins and was confident that E.W. Nelson had discovered a new species, describing it as the Pacific counterpart to Kumlien's Gull, only larger and with a darker primary pattern (Henshaw also treated Kumlien's as a "good" species). It was Henshaw who designated the name Nelson's Gull (Henshaw 1884). Jonathan Dwight was among the first to suspect nelsoni may be a hybrid form, noting that it showed intermediate characteristics between Glaucous and Herring Gull. The fact that "no two of them are marked alike" was Dwight's primary concern. He also pointed out that very few specimens are available and no known breeding colonies existed, inferring Nelson's must be an intermediate form that sporadically occurs as a result of hybridization. Incidentally, in his monograph, Dwight also casts doubt on Kumlien's Gull being a valid species (Dwight 1925). Dwight's assessment of the nelsoni collection available in his time included the following: "Larus nelsoni are chiefly in the plumage of hyperboreus with touches of grayish or dusky pattern on the outer primaries that might well be derived from the black of L. aregentatus vegae." He goes on to say, "...but the pattern of the primaries is just what would be expected if the black color of Larus argentatus vegae were diluted, withdrawn or diminished in varying degree". The lord of gull ornithology declared this taxon a hybrid. Jonathan Dwight's "The Gulls of The World". 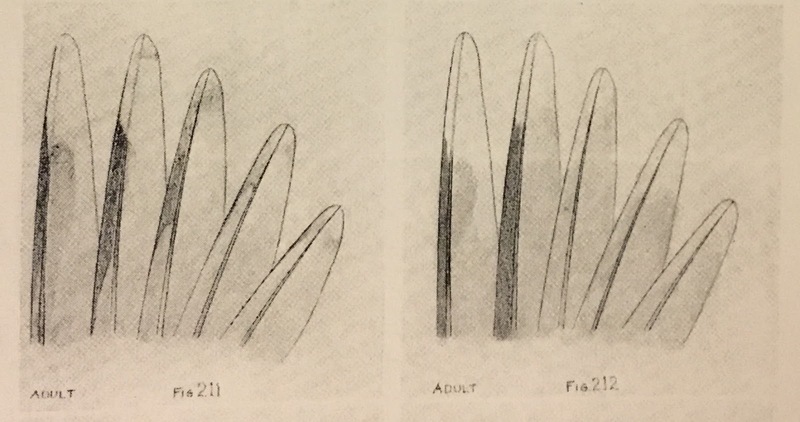 Figure 211 & 212. Admittedly, the description of the primary pattern(s) is not extensive or in-depth, but there can be no doubt that Dwight regarded the Herrings involved, Vega Herrings - not what we today understand as American Herrings (smithsonianus). After being reduced to a hybrid form, the historical timeline becomes obscured and somewhere along the line Nelson's Gull became the label for hyberboreus x smithsonianus. Vega influence was seemingly supplanted and locked away in museum drawers. To be clear, our common usage of the label "Nelson's Gull" is 50% flawed. The fundamental problem - like with many of our presumed 4-year hybrids - is that data from birds of known origin are scant. The Glaucous x Herring hybrids found to the south in the winter season (i.e., in the lower 48 states and eastern Canada) may very well be hyperboreus x smithsonianus, but this certainly can't be the case in Alaska and throughout the Bering Sea, at least not exclusively! One specific case in point is the mixed Glaucous x Herring pair that was discovered breeding in Bluff, Alaska in 1977. The pair successfully fledged young and Drury confidently identifies the adult Herring as a Vega Gull (Patten 1980). Bluff - also known as Apookauchuk on some maps - is roughly 60 miles to the southeast of Nome and is a rock's throw from St. Michaels (the region where Nelson collected his specimens). The situation is equally confounding throughout the Seward Peninsula in the summer months where both taxa (vega and smithsonianus) can be found as nonbreeders (Kessel 1989). Howell and Dunn are quite cautious in their guide and seem to avoid the use of "Nelson's Gull". Consider the presumed hybrid in plate H3.13 in Howell & Dunn. The identification of such a phenotype - in Nome - is anyone's guess and the authors readily point this out. But in the same section the authors give many other examples which are identified as having "American Herring Gull" parentage. It would seem that they're identifying these hybrid types based on range, and they're probably correct. Larry Spear - "Larophile and Scientist Extraordinaire"
In 1984, the late Larry Spear (to whom Howell & Dunn dedicated their gull guide) discovered interbreeding among Glaucous and Herring Gulls in the far north near the Mackenzie Delta in Canada. In his report Spear provides a hybrid index used to score some 50 intermediate birds (Spear 1984). Oddly, he never once elucidates whether the Herrings involved were vegae or smithsonianus. But he does reference Macpherson and Smith when describing the wingtip pattern of a pure Herring Gull. This leads me to believe he presumed the Herrings were smithsonianus (in accordance with the AOU's line of reasoning, L. argentatus smithsonianus). Further, smithsonianus is the expected taxon in Arctic Canada. You can find more of Spear's photos in "Gulls of the Americas" (plate 1.6 and plate H3.3). Interestingly, Larry Spear was under the impression that he had documented the "first" known interbreeding among Glaucous and Herring Gulls in North America (the 1977 record from Bluff, Alaska was either unpublished at the time, or was completely missed by Spear). It could be that Spear implied he found the first Glaucous x "American" Herring hybrids. Nevertheless, Larry Spear was the first to document multiple hybrids, together, with young. With that said, he never uses "Nelson's Gull" as a label for these pairings. The only other concerted effort made to analyze Glaucous x Herring hybrids in the last 30 years was by Agnar Ingolfsson. Ingolfsson examined a multitude of specimens from arctic North America and found that roughly 25% of the hyperboreus skins that came from Alaska appeared to be hybrids between Glaucous and Herring Gull. Compare that to only 1% of the skins that he examined from Canada (Strang 1977). This, in my humble opinion, warrants serious reconsideration of what we call Nelson's Gulls. North American gull enthusiasts and field ornithologists largely agree that splitting Vega (vegae), American (smithsonianus) and European Herring (argentatus) has been long overdue. The AOU is patiently awaiting substantive research and evidence before acting on these taxa, and this is commendable. There is nothing simple when it comes to Herring Gull identification, and at times, separating 1st cycle birds is bewildering. With respect to hybrids, questions such as "Which Glaucous subspecies is involved" and "Which Herring taxon is involved" may never be clearly answered with non-nesting birds, but I would argue that any suspected or known Glaucous x Vega hybrid should be given a unique label that differs from what we would call a Glaucous x American Herring - If only to emphasize Vega's distinctiveness (similar to Glaucous x European Herring hybrids in Iceland which are commonly referred to as Viking Gulls). Although this may seem like hair-splitting for some, I've chosen to discontinue the use of Nelson's Gull to describe putative Glaucous (hyperboreus) x American Herring (smithsonianus) hybrids. For hyperboreus x smithsoninaus, I think Spear's Gull, Mackinzie Gull or Hudsonian Gull would be welcome (more on this later). It will be somewhat inconvenient to adjust the current usage of "Nelson's Gull", but I think it can be salvaged and restored to what was originally intended by Dwight. Putative hyperboreus x vegae should rightfully be referred to as Nelson's Gull. Dwight, J. 1925. "The Gulls (laridae) of the World: Their Plumages, Moults, Variations, Relationships, and Distribution." Bulleting of the AMNH 52:63-402. Henshaw, H.W. 1884. "On a New Gull from Alaska." Auk 1:250-52. Howell, S.N.G. and J.L. Dunn. 2007. A Reference Guide to Gulls of the Americas. Peterson Reference Guide Series. Boston: Houghton Mifflin. Kessel, B. 1989. Birds of the Seward Peninsula, Alaska. Fairbanks: University of Alaska Press. Patten, S.M. 1980. "Interbreeding and Evolution in the Larus glaucescens, Larus argentatus Complex in the South Coast of Alaska." University of Maryland, Ph.D. thesis. Spear, L.B. 1987. "Hybridization of Glaucous and Herring Gulls at the Mackenzie Delta, Canada." Auk 104:123-25. Sabine's Gull (adult type). Charlotte County, New Brunswick 02 September 2016. Continuing adult from late August, molting into basic plumage. Laughing Gull (2nd cycle type). Santa Barbara County, California. 02 September 2016. Little Gull (juvenile). Douglas County, Colorado. 03 September 2016. Stunning bird with 75%+ juvenile scapulars. Photos. Little Gull (juvenile). Polk County, Iowa. 03 September 2016. Black-legged Kittiwake (juvenile). Virginia Beach County, Virginia. 03 September 2016. Sabine's Gull (juvenile). Marathon County, Wisconsin. 07 September 2016. Sabine's Gull (juvenile). Jackson County, Missouri. 07 September 2016. Lesser Black-backed Gull (3rd cycle type). Coconino County, Arizona. 08 September 2016. Little Gull (juvenile). San Mateo County, California. 11 September 2016. Franklin's Gull (1st cycle). La Mitis County, Quebec. 12 September 2016. Lesser Black-backed Gull (adult type). Imperial County, California. 14 September 2016. Western Gull (2nd cycle). Washington County, Colorado. 16 September 2016. Continuing banded bird from Farallon Islands. Now in complete 2nd basic garb. Western Gull (juvenile). Salt Lake County, Utah. 13 September 2016. Photos. Glaucous Gull (2nd cycle type). Essex County, Ontario. 16 September 2016. Slaty-backed Gull (adult). Pierce County, Washington. 20 September 2016. California Gull (adult). Berrien County, Michigan. 21 September 2016. Laughing Gull (adult type). Morgan County, Colorado. 27 September 2016. Thayer's Gull (juvenile). Grand Forks County, North Dakota. 28 September 2016. A tad early. Still growing outer primaries. Photos. California Gull (2nd cycle). New Haven County, Connecticut. 29 September 2016. Possibly "the" 1st cycle bird seen back in April 2016 - a 1st state record then. Photos. Juvenile Sabine's Gulls made an above-average appearance throughout the western Great Lakes region this month. A handful of adults were recorded as well - not something that occurs annually! Western Gull is now being reported with more frequency in the interior west. This movement away from the Pacific coast is augmented by the relative increase at the Salton Sea (a high count of 8 this month) and other inland bodies of water. The species is certainly on my radar and I feel it's only a matter of time before one strays to the Great Plains and east to the Mississippi River Valley. The September bird appears to be a large 4-year gull. The trickiest part about this month's quiz - in my opinion - is correctly aging our gull. At first glance it looks like a 1st cycle, but a more careful look should reveal a 2nd cycle type. It's difficult to be sure what the true primary projection length is because those feathers are raised. But the projection does look suspiciously short, indicating the outer primaries are still growing. The tips are rounded which favors a 2nd cycle type over a 1st cycle. The newer, gray, central scapular feathers do resemble a 1st cycle type as they show dark marks along the shafts and some barring. But scapular patterns are highly variable in large gulls and they can often betray a bird's true age. The wing coverts, on the other hand, are a bit more reliable when aging. Notice the obvious marbling pattern to the greater coverts and distal tertial edges. This is more typical of a 2nd cycle gull. Also notice in this images the rounded tips to the outermost primaries. But what species? The bird is not very large or bulky. The relatively small and straight bill call to mind species such as California Gull, Lesser Black-backed Gull and Herring Gull. The paling iris and pink legs should immediately dismiss thoughts of a California Gull, and the relatively light gray scapulars raise doubts about this being a Lesser Black-backed Gull. I identified this month's bird as a retarded 2nd cycle type Herring Gull, photographed in Northern Illinois. January.